One of the ‘rules for radicals” is ridicule. Yes, Saul Alinsky famously preached the importance of ridiculing your adversaries in the public square in order to advance Marxism. 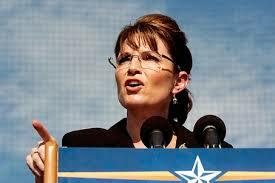 No political figure garnered more public ridicule than Sarah Palin in the 2008 election. Radicals who control the media descended on Alaska with a vengeance to uncover dirt on Ms. Palin at the same time they showed shocking indifference to Barack Obama’s mysterious past. Sarah Palin could see right through Mr. Obama.